Machine washable. All quilts are labeled and dated. Please specify what information you would like it to contain in the Custom Options section below. Customers have the option of sending their own materials to be incorporated into the quilt. Email us for more details. Baby, it’s cold outside. Whether it’s for you or your home, our quilts can bring a sense of warmth to anyone around Christmastime. 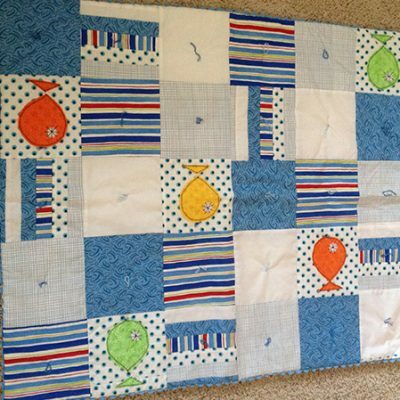 Each one is made using a variety of different fabrics – including cotton and flannel – and are available in a variety of colors or patterns. 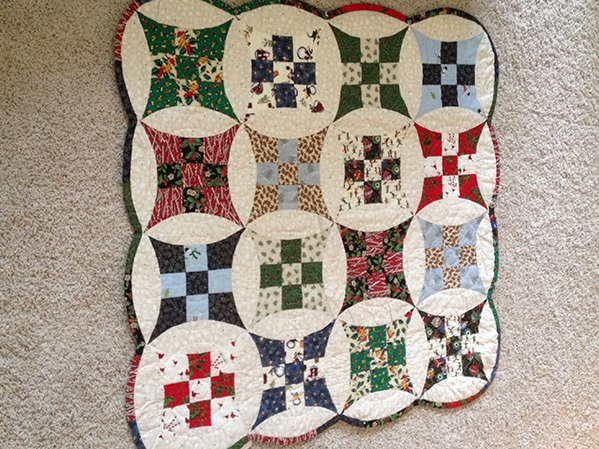 Each quilt is machine-pieced and hand-quilted or tied. Machine washable. All quilts are labeled and dated. Please specify what information you would like it to contain in the Custom Options section above.